Left Facing Chaise: W60" x D43" x H25"
1 Seater: W39" x D43" x H25"
Ottoman: W39" x D43" x H17"
3 Seater: W86" x D43" x H25"
Left Facing End Table: W42" x D17" x H17"
Long Side Table: W79" x D17" x H17"
Desk: W59" x D22" x H28"
Tivoli sectional is not the standard sofa it is loaded with features that stand out from the rest. Two tables with multiple shelves, long desk and one of the kind contemporary design manufactured by Divani Casa, Italy. Wrapped in high quality grey color Italian headboard u-shape design has large comfortable seats and two adjustable headrests. On the side you will find a coffee table with shelves and on the back another even longer table is attached. This seventy nine inch long table has multiple shelves but that is not all this collection has to offer. 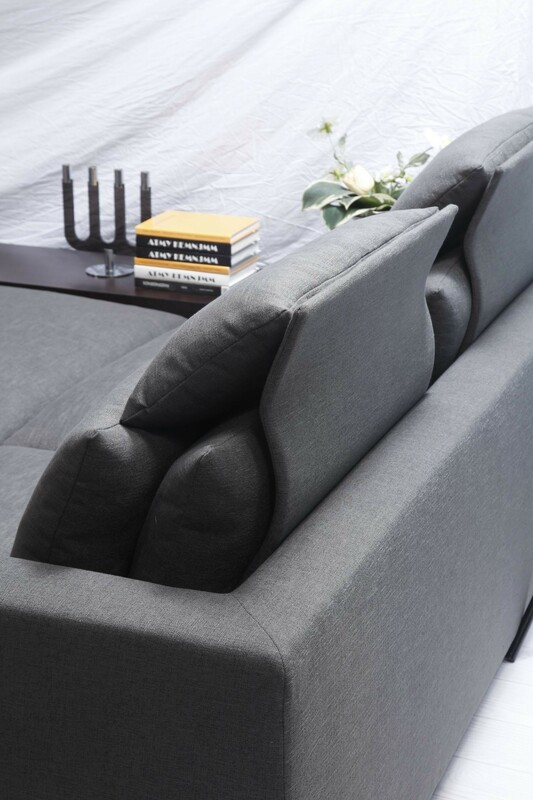 On the back of this Italian sectional sofa a full size desk is attached. 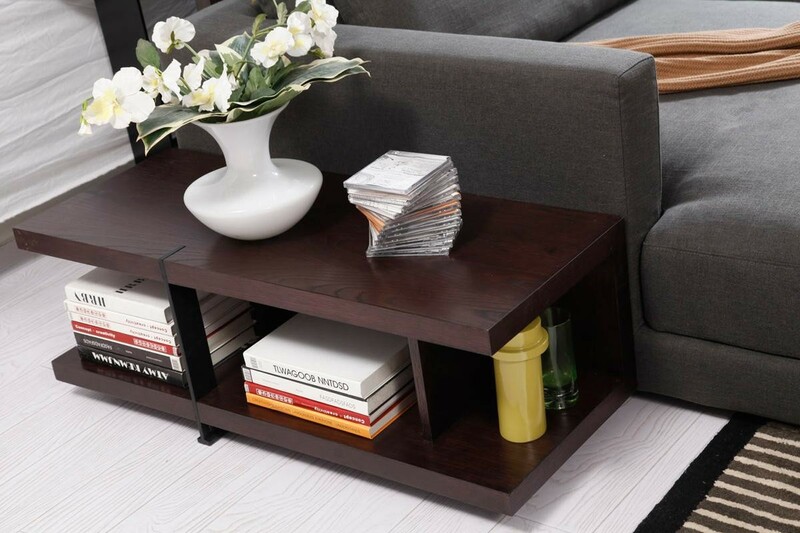 These pieces are made of wood veneer in a brown ash finish with black color supports.